I don't know how it got to be 10 days since my last post, but here it is. I guess I didn't have anything to say. And I still don't have anything to say, 10 days later, but I'm going to post anyway! November yard sale-less days means no new finds for you to see, but I have plenty of old old stuff you haven't seen yet. So I guess that's what I'll be posting during the long cold days of winter. When I'm not putting it up on Etsy for sale, that is. Which is what I've been doing these last 10 days. 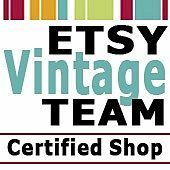 So far I have 90 items listed, most of them vintage holiday. I think I may have put them up a little too early (started listing in September) but I didn't want to get caught in the holiday rush. I'm finding the Christmas things are just starting to sell, so at least I'll know that for next year. Even though I started early, I still have a bunch more holiday stuff to list. Spent the entire weekend sorting/purging Sophia's toys to make space in the family room for the reworked apothecary. I think we've figured out a good place for it. Also found room for the repainted bookcase. Ack! Avert your eyes! I don't know what's going to happen when Santa visits in 6 short weeks. I did manage to find a small church thrift store sale this weekend, where I bought these retro German lucite candle holders. Definitely not my style, but I thought they were cool and someone would appreciate them. Got tired of the brown, so now it's white and shabby. The yard sale list looks short again this weekend, but I just spotted a church rummage sale that starts Friday night. Hope that will make my next post a bit more interesting! I'm off to see your 90 items ... good work! That store in Pennsylvania you asked about is walking distance from Ohio (not on your side of the state) but if you think you'll be out that way, I'll fill you in! HEAVENS Gina....REMEMBER way back WHEN you were contemplating listing on Etsy & NOW look at you....90 items....YOU GO GIRL....!! Wow, you sure have some great furniture pieces! I wish I'd find more of that kind of thing! With me it's mostly smalls! I'll bet you have some fun vintage Thanksgiving yourself! Thanks for stopping by! Fun finds and I still love that bookcase! 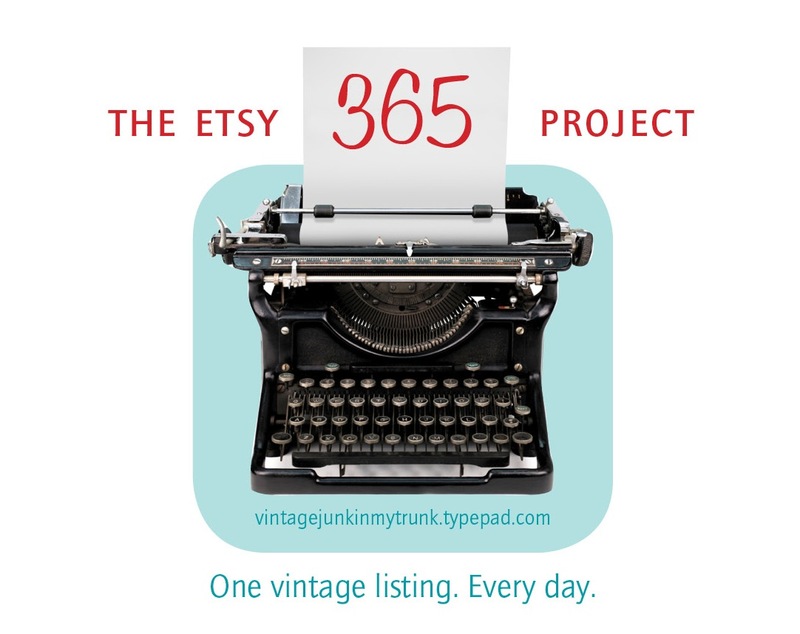 Loading etsy is a good idea - I've been working on that too...it's been hoppin' over there lately. I found those lucite holders at a church thrift a few months back. Mine are clear. I think they are FABULOUS!!!!!!! I was supposed to sell them but...no way.Love those babies.Thanks for sharing.